Humanity in Action organized the "Relevance of the Holocaust" Program for Senior Fellows and experts in the field of Holocaust education in March 2008. 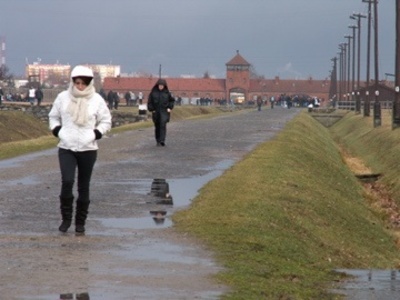 Over ten days, the program focused on the history of anti-Semitism in Poland and Europe, the impact of the Holocaust on contemporary European national identities, and anti-Semitism in the 21st century. The program was made possible by a generous grant of the Dutch Ministry of Health, Welfare and Sport and organized in partnership by HIA Netherlands and HIA Poland. For media and educational inquiries, please contact Philip Ugelow at p.ugelow [at] humanityinaction.org.